Kia ora! Long time no see. We thought we would kick off a new round of blog posts with one of our most popular features 'anthropology... what kind of job will you get with that?'. Yes if you have ever been a student of cultural anthropology you will most likely have been subjected to a bunch of similar questions including "what even is anthropology? ", or "Oh so like Bones the TV show?" (Hmmm kinda but not really because I can't science/math), or even "Don't you want to make money?". Never fear, we can reassure you that your chosen career path is a valid and important one. We have already talked to Caitlin about this and today we are going to share Hayley Bathard's story with you. We particularly love her advice for any budding anthropologists at the end of the piece. So....enjoy! And let us know below if you have had any funny comments on your degree choice. 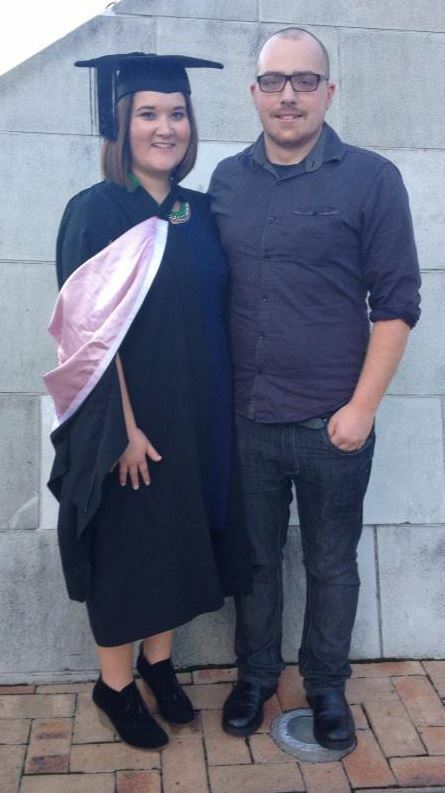 I have a BA in Anthropology and Gender Studies, a BA (Hons) in Anthropology, and an MA in Anthropology. I did my undergraduate studies at the University of Otago, and my postgrad at Victoria University of Wellington. Tell us a bit about how you got into anthropology? Why you love it / hate it? What made you think to yourself “Hayley, anth is what I want to do with my life"? I spent all of my time travelling, teaching, and partying, and no time figuring this out. I enjoyed social studies at school and thought anthropology sounded interesting, so I decided to take it alongside gender studies and French. At a uni visit in my last year of high school, I must have attended a session on anthropology which sparked my interest. I love the variety of topics that anthropology encompasses – you can almost fit anything into it if you apply an anthropological lens. I love the insights that it can give into different phenomenons and views on life, and that it can give us a new way of seeing everyday things. I hate that people don’t always respect anthropology and anthropologists. And that people never know what it is. I currently work at the University of Otago in Wellington, in the department of medicine. I am an assistant research fellow, and work on various research projects. These include both quantitative research and clinical research. I am just about to finish my job at Otago, and will be starting a new job soon as a Research Advisor at ACC. Can you tell us a bit about what you have been passionate about in anthropology? – Your research areas? I am passionate about medical anthropology – my masters research was on young people with cochlear implants in New Zealand, and the sociocultural effects of this technology and the hearing norms of society. I did research before that on deafness in New Zealand. I am also interested in disability, the effects of colonisation on health, and the social determinants of health. Feminism and gender studies are also passions of mine. How does anthropology fit into your job? My bosses were particularly interested that I had done research within medical anthropology, as it fits to a certain degree with medical based quantitative research, especially in terms of experiences in the health system, cultural views of health and illness, and social determinants of health.My research experience from studying anthropology is hugely important in my current job, as the vast majority of my time is spent researching and conducting various research projects. Some of the projects I have worked on have focused specifically on Māori experiences, so the cultural knowledge and awareness I gained through anthropology have been important. How do you explain what anthropology is? People ask so many strange questions about anthropology! When I was doing honours, we talked quite a bit about the weird things people thought anthropology was. I think one of the best was, “Oh, is it the study of ants?” If people do know a bit more about it, they often assume that I do archaeology, and ask about that.I always tell people it’s the study of people, culture and society. 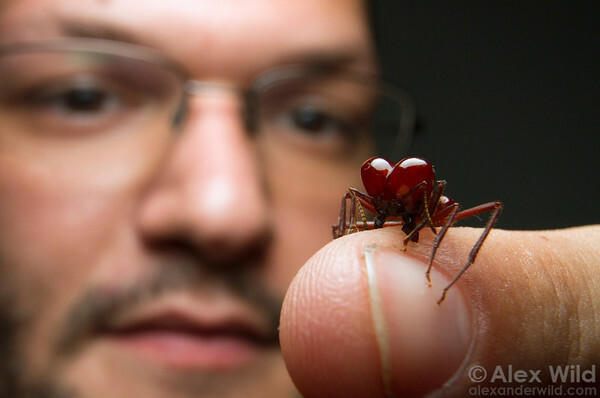 Myrmecology is the actual name for the study of ants. Close. What was your favorite part of doing undergrad and post grad as an anth student? I really enjoyed the variety of topics that are covered within anthropology, and getting the chance to do a bunch of different projects and research different areas of anthropology. It was just so fascinating learning about human diversity, and the multitude of beliefs and value systems out there.Given the nature of anthropology and its focus on people, it was great to be able to meet so many other people with similar viewpoints and passions. How do you address the haters – the people that say “anthropology…don’t you want to get a job lolol”. This is a tricky one! I haven’t actually encountered too many haters in person – I’m sure they talk about it not to my face haha. To be honest, I think anthropology isn’t different to a whole lot of uni subjects now that don’t lead to specific jobs. And anthropology gives people so many good skills. For me personally, having had jobs that are related to what I studied is proof enough to address the haters! Does anthropology affect the way you see the world around you? How?Definitely. I think I learnt a lot about how I see the world now through my studies and my interactions with the people I have met along the way. I am a lot more open to different ways of seeing the world, and know a lot more about different societies and cultures, and how these affect the ways people are and what they do. I have become passionate about social issues and advocating for social change, and I think anthropology has further pushed me in that direction. What would you say to the baby anthropologists out there questioning whether or not to keep going in the discipline? If you love anthropology and are passionate about it, keep going! The world needs more people who are socially minded and who are keen to learn more about people and the way they are in the world. It’s hard at times for sure – anthropology doesn’t lend itself to a set lot of jobs in particular, but it’s so important to have people going out into the workplace with the knowledge anthropology gives you. Thanks so much Hayley for your words of wisdom and good luck with your new job! To obtain your preferred profession, you need to figure out how to construct an excellent resume. One aspect of creating the most effective resume is to put a career goal. Your work is very good and I appreciate you and hopping for some more informative posts..Anthropology.what kind of job will you get with that ?words of wisdom from Hayley ..Take advantage of this time to become the most amazing version of yourself. Thank you for sharing great information to us. Maybe in time I will consider having this as my blogging platform. Even though lots of people saying this platform is hard to handle. There is special computer software to help students define their careers ways. You should not waste such opportunities. Go major in college and you will find tips about college life. Thanks for sharing nice information with us. i like your post Career advancement blog and all you share with us is uptodate and quite informative, i would like to bookmark the page so i can come here again to read you, as you have done a wonderful job. Thanks for sharing this interesting information.